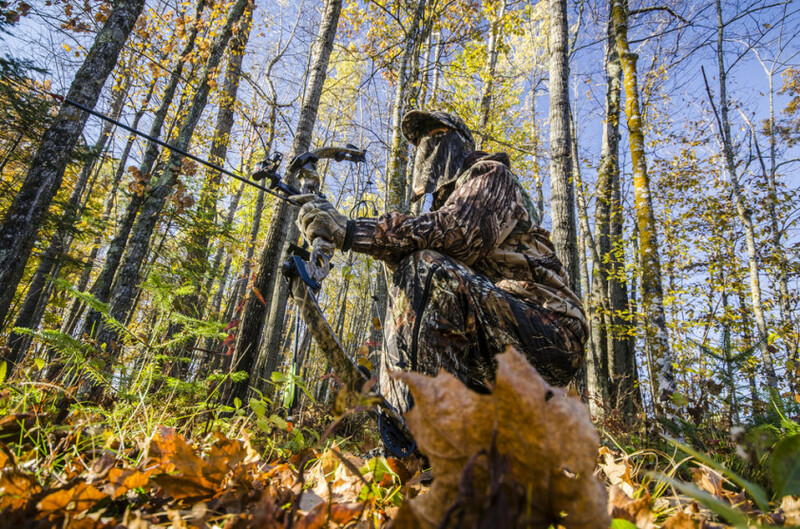 Bow hunting is an ancient form of hunting animals for food and clothing. 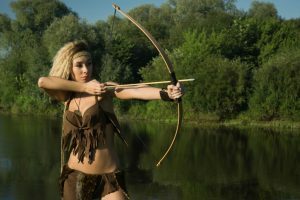 During ancient times, a man used a bow and arrow to hunt. The first remnants of the bow were found in Africa, where skulls of prehistoric man were found and stabbed with a triangular shaped stone. Artifacts of this sharp stone were later found in other parts of the world. 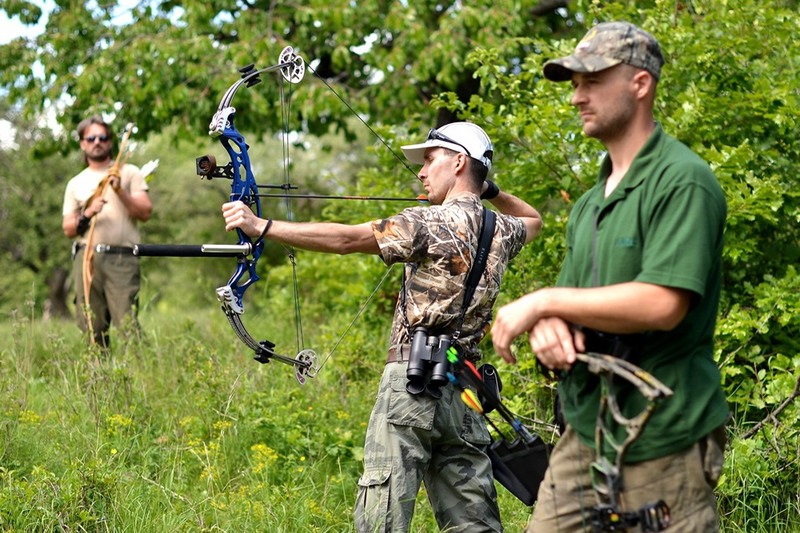 Now bowhunting is an outdoor sport and is mainly a hobby for enthusiasts who like the great outdoors. Many people learn archery to hunt or engage in competitive sports. Bowhunting is also used by people who like the thrill of hunting deer and large animals, as well as practicing their aim and going after a moving target. 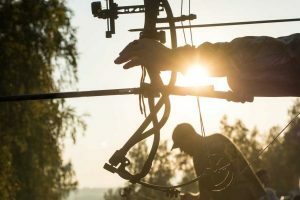 To know and master bowhunting, the archer must first know how to use a bow, which has transcended to more high-tech forms to create bigger draw weight and deeper penetration to the target. The bow is now developed beyond the string and the piece of wood that was used in ancient times. Knowing the parts of the bow will help the user determine the intensity of the arrow as it covers a greater distance. Regardless of the type, all bows have the most basic parts; these are the string, limbs, and the riser. The limbs are the long structure found on the structure of the bow. The limb is made of wood and there are limbs that are made of fiberglass and coated with wood. The tension of the string is brought about by how the bow controls the string as it is stretched. The string is tied to both ends of the limb. The arrow is placed against the string as it is pulled backward. The further the string is pulled, more energy is generated. The draw weight then increases as the arrow is further pulled backward. The power is stored in the arrow and then released to create a bigger impact when hitting the target. The riser is the part that contains the handle, sight and arrow guide. It is also the part that holds the structure of the bow together and controls resistance from the limbs and string. 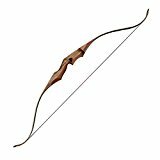 There are two types of bows that are generally found on the market: the compound bow and the recurve bow. Both types are specifically designed for a purpose that is particular to the type of archer. Their properties differ in terms of the axle-to-axle distance and draw weight. The intensity and speed of the arrow will also vary according to the type of arrow being used. The compound bow is a more high-tech form. It is typically made of fiberglass or wood and uses a cam system. The cam is like an axle that is found at the tips of the limb and uses cables to further stretch the limb backward. The power transmitted to the arrow is higher and the draw weight is increased. The cams also enable the bow to be flexed much easier as the draw weight goes higher. Other accessories of the bow are also attached to the riser such as the sight, arrow guide, and stabilizer. 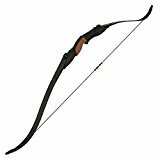 The recurve bow is like the classic style of bow. The mechanism is simple with a string connected to the limbs. The riser is made of wood and houses the handle and the sight. There is an ongoing debate on the use of guns or bows in hunting. Although both methods have their advantages, one method is superior to the other in many ways. 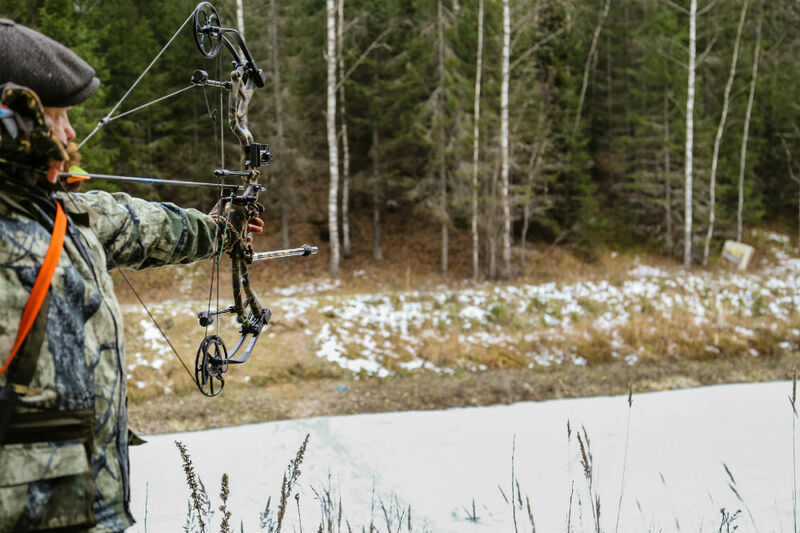 Bowhunting and gun hunting are both enjoyable and equally engaging. Both of them also engage the user to the thrill of the hunt and require a level of proficiency. Buying a good rifle or bow costs about the same. Both weapons will need accessories like a sight, stabilizers, and protective gear. However, the bow’s wear and tear are higher than a rifle; A bow will require a change in string and cam, while a gun does not need parts replacement. The value for money is greater with a gun and the resale value does not diminish a lot over time. The bow depreciates much faster than a gun. Learning to shoot with a rifle is more expensive than practicing with a bow. To practice shooting a gun, the user must get a membership in a gun club and use its firing range. A shotgun is usually not allowed in a firing range. To learn how to hunt with a gun, a shooter must be able to shoot at a minimum of 100 meters, which is not provided in a firing range. 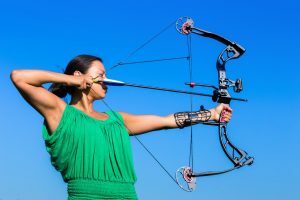 Practicing to use a bow entails much less; it can be done in a garage or in the backyard as long as there is a target put on a board. This can be done in a limited space and with a small cost. Guns require bullets and this increases the cost of the practice. Arrows and arrowheads are hardly replaced. Arrow flags must be replaced, but are inexpensive. In general, bowhunting still outranks gun hunting in terms of cost. However, to hunt with a bow needs more technical skill than using a rifle. Hunting of animals, whether by guns or bows, is a controversial issue because hunting poses a risk to animals being maltreated. Hunting causes a slow and painful death and is considered inhumane. The safest and most widely accepted way of hunting is a direct hit to the lung or heart; this will ensure that the animal is instantly killed. Hitting an animal in the leg will lead to a slow and painful death that many animal rights activists protest. Hunting of endangered animals, whether by gun or with a bow, is highly discouraged. In many parts of the world, endangered animals like elephants and tigers are being hunted for the commercial trade of ivory tusks and fur. The killing of these animals is not only an ethical issue but an environmental concern that may potentially create a great imbalance to the world’s ecosystem. 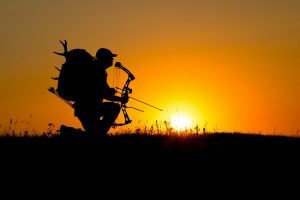 The following are the best hunting best hunting bows that are available on the market. 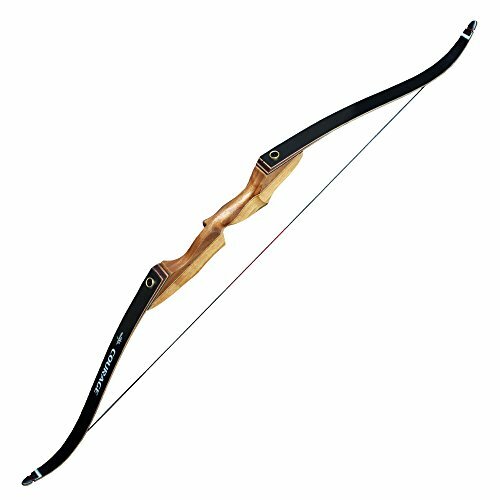 These bows are rated based on their performance and quality, as well as practicality and value for money. These products are considered to be the best because they deliver well and satisfy users’ need for quality and efficiency. This is a high-quality product that is intended for hunting. The bow’s structure is made of aluminum and light at 44 lbs. The entire bow is measured to 31” and has a draw weight of 70 lbs. maximum. The height of the brace is 7.5” and has a speed of 310 feet per second. The bow works best with aluminum or carbon arrows. The weight and intensity of the arrow are appropriate for hunting of large animals. The string is durable and is stretched between axles that have a distance of 31.5”. 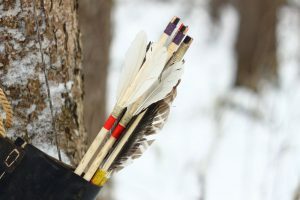 There is a high amount of energy that goes from the limb to the arrow that enables the arrow to deeply penetrate tough surfaces and large animals. The let-off is 80% and guarantees accuracy and speed. The product is good for beginners and amateur hunters. The product’s cams tend to misalign and the strings lose hold. Reinforcement is needed to keep the strings inside the axles. Draw weight is 50 to 70 lbs. This product is light and has a draw weight of 40-55 lbs. The bow makes an arrow fly at 220 feet per second with accuracy and intensity. The string can be drawn to 41.5” and is let off at 70%. The bow has a smooth polish and resists rust because of its quality coating. The cams of the bow are well built and enable the bow to be strung well and create a great amount of energy for the arrow; the arrow is strong and fast as a result. The bow is compatible with 30” arrows made of fiberglass, aluminum or carbon. The grip is firm and will not slide from the archer’s hands. The string has a firm hold on the axles and will not require locks to reinforce it. However, the product is a beginner’s bow. More advanced users will become frustrated if they are looking for a bow that will meet their skill requirement. The product is hard to assemble because it does not have an instruction manual. Draw length is at 40-55 lbs. This is a bow made of fiberglass and laminated with maple. The length of the entire bow is 54”, and the riser is 15” long. The product is lightweight at 2 lbs. The look is elegant and classic, which is similar to the classic archer’s bow. The length of the draw is 20” and has a draw weight of 30 lbs. 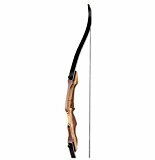 This is a beginner’s bow and is not applicable for hunting or shooting at targets at far distances. The limbs are flexible and can tolerate large amounts of tension. The bow is only for short-range shooting and will not require a big space for practicing. The bow is elegant with a thick wood lamination and will be resistant to corrosion. The string has a finger guard to protect the user from bruising. An inexperienced archer can use either hand in using the bow. The power that is delivered to the arrow is just right, and beginners will be able to progress quickly to more advanced skill levels. However, the structure of the bow tends to become distorted when subjected to extreme heat. The product is only good for indoor ranges. Draw weight is 25-30 lbs. The product is made of fiberglass and is coated with multiple layers of wood with a smooth finish. 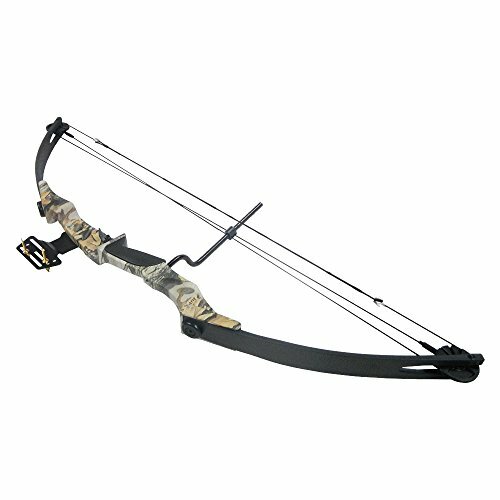 This is a great hunting bow that has an overall length of 60” and the limbs are sturdy. The grip is firm and the user has a strong hold on the handle. The draw weight is 35-55 lbs. The bow has pre-installed bushings that help the stability of the bow. The bow generates a great amount of energy that makes the arrow hit the target with accuracy and high impact. The riser is stable and keeps the sturdy limbs centered and stable, and provides a comfortable handle for the user. The bow in total is well-built and can be used for long term. The finish of the product is smooth and will not corrode or rust. However, the product is hard to assemble. The screws can only be tightened by an Allen wrench which can be easily misplaced. Draw weight is 35-55 lbs. 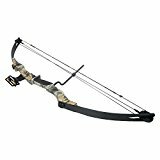 This is a high-tech compound bow that is easy to use. The product is made from quality materials and is lightweight. The draw weight is 70 lbs., and gives strong and accurate hits. The product is good for hunting large animals and can hit the target strong, even at far distances. The length of the string and the tension of the limbs can be adjusted to have more weight in every shot. The speed of the arrow is at 318 feet per second. The bow’s brace is stable at 7” and the entire structure is stable and balanced. The limbs can be adjusted to produce up to 63 lbs. of weight. The let-off is at 80% and the target will be hit with deep penetration. The product is ready to use and readjustments will not be necessary. However, the product is only good for seasoned archers. Beginners will have difficulty in using the product especially if the user is not yet well versed in archery. Choosing a bow will be a tough decision to make if the user is not aware of the properties and features of a bow. For a beginner, a bow with a straightforward mechanism is best, and not necessarily strong enough for hunting. Advanced archers will need bows with greater draw weight, and the arrow will require more muscle and effort. The cost of a bow will reflect the quality of the materials used. Compromising quality over price might lead to greater expenses in the long run due to upkeep and parts replacement. Hunting laws are complicated and the user must know what regulations apply in the area. The bow is considered a weapon and certain states even deem it as illegal. It is the responsibility of the user to know what is permitted in the area. 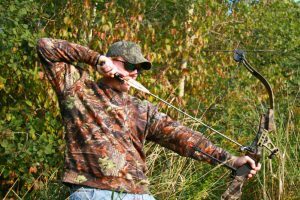 Hunting season for bows is different from gun hunting season, and it is recommended that the user knows when the best time to use the bow in the outdoors is.